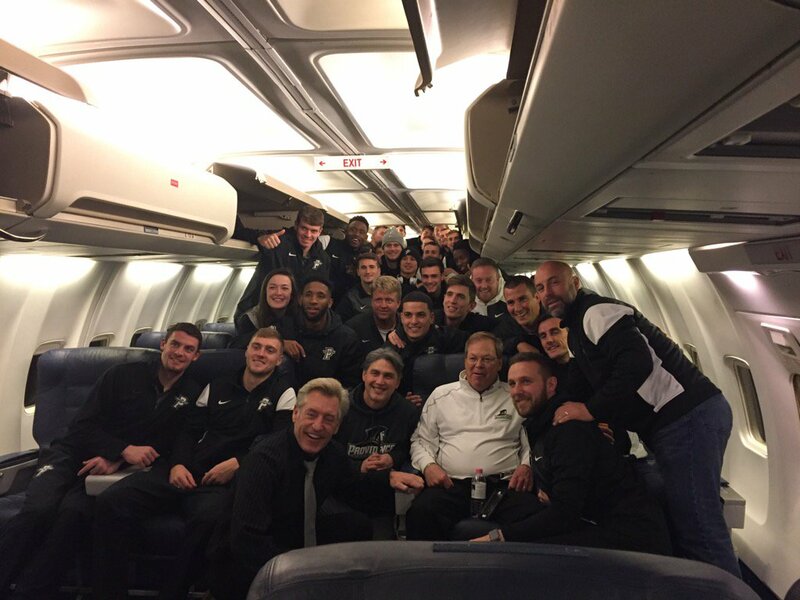 The Providence College Men’s Soccer team was able to go on the road for the second straight game and come away with a one goal win in the NCAA tournament this past Saturday. This time, the Friars were able to come out on top of the Creighton Blue Jays at Morrison Stadium in Omaha, ultimately avenging their earlier season loss to the Blue Jays in the Big East Tournament. And perhaps even sweeter than that, Creighton was the team that ended the Friars’ season last year, thus returning the favor of delivering the last blow to the team that did the same to them last year, although this one had a little bit higher stakes. This was the third time that the two teams faced off against on another this year and the second time that PC have been able to beat Creighton on their home field. Providence also beat the Blue Jays on 10/29 (their Senior Day no less) of this year in a 1-0 game behind a goal from (who else) Senior Captain Julian Gressel, late in the first half. But enough about the earlier matchups between these two Big East teams, let’s get to the game at hand. 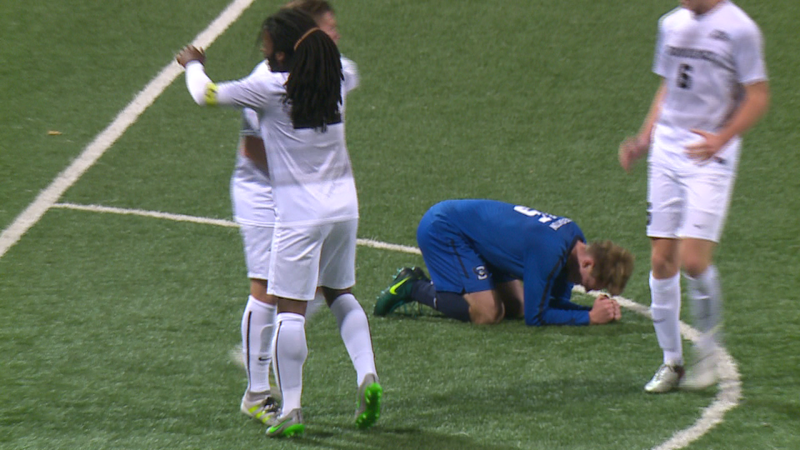 Creighton was able to start the scoring early in the game, taking a 1-0 lead in front of a crowd of 2,539, on a goal from Swedish Sophomore Midfielder Joel Rydstrand in just the 8th minute. Rydstrand’s one-timer rocket off of a save by PC goalie Colin Miller (Co-Big East Goalkeeper of the year) was pretty nice and that dude couldn’t look more Swedish if he tried. Also, I’m not sure which I thought looked more stupid and ridiculous, his celebration or his haircut. Responding in the 23rd minute was none other than Providence Goal-Machine Julian Gressel, notching his incredible 15th goal of the season (in just 21 games) to even things up at 1. The goal was Gressel’s 4th in 3 games in the NCAA tournament so far. The 15 goals on the season also pushes Gressel into a tie for 4th in the Nation for goals on the year. The goal was set up by Glastonbury native Brendan Constantine with a speedy move past a defender from the right side of the box and a feed to Gressel at the six yard box. Despite the narrow angle, Gressel was able to put a beauty into the far side of the net past Creighton’s own Co-Big East Goalkeeper of the year Alex Kapp. The game remained tied for the majority of the contest until the Friars were able to breakthrough with a goal in the 83rd minute. Julian Gressel (of course) was able to feed a touch-pass back to Freshman Danny Griffin on a counter-attack that Griffin smoked like a knucklepuck from about 35 yards out to put the Friars up 2-1. As if this year’s team wasn’t overcoming enough this year, according to Coach Craig Stewart, Griffin was actually sick during the game and throwing up at halftime. Stewart even took him out for a spell to get some rest so that he could finish the game strong…guess that move worked out pretty well. It’s pretty funny to listen to Gressel after the game wondering why he got the assist because he didn’t even think he touched the ball. The Friars were able to hold on to the lead for the last couple of minutes and to finish off the victory over Creighton. Creighton was able to outshoot the Friars 20-9 but PC keeper Miller was able to come up with 9 saves on the night to help seal things up for the Friars. What’s been perhaps even more impressive with how the Friars have been playing not only in the NCAA tournament, if that’s possible, but over the entire year as well is that they are playing without 2 of their 3 best players that were out for the year. The video from Creighton gets a little sped up a few times but it’s the only we I have to go on, so it’ll have to do. The Friars advance to the Elite Eight with their victory and will take on North Carolina at Fetzer Field in Chapel Hill on Friday December 2nd at 7 PM. UNC is one of 5 ACC teams in the Elite Eight of the NCAA tournament. The rest of the remaining teams are filled out by Providence (Big East), Denver (The Summit League – whatever the hell that is), and Stanford (Pac-12). You should be able to watch the game again on ESPN3. Here’s some after the game reactions and thoughts from Coach Craig Stewart, and Senior Co-Captains Julian Gressel and Nick Sailor. Some kind words from PC Hockey Coach Leaman as well about the Men’s Soccer team. That’s what the Friar Family is all about.